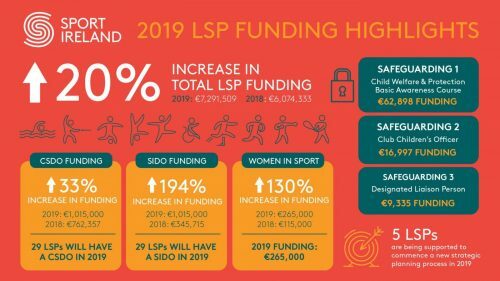 Sport Ireland announced funding today for the provision of a Sports Inclusion Disability Officer (SIDOs) in 29 Local Sports Partnerships throughout Ireland. Niamh Daffy, MD of Cara welcomed the announcement as a “significant investment into the Local Sports Partnerships to increase Sport and Physical activity opportunities for people with disabilities” “Cara looks forward to engaging with the increased network of SIDO’s in the coming months ahead in developing a shared vision for the sector in Ireland and support Cara’s strategy”. More details on the Sport Ireland announcement can be found here. More details on Cara’s Strategy can be found here.